Nordic Walking is as popular as ever. Naturally, since the trend sport is the perfect combination of targeted physical activity and stress-free enjoyment of nature. The two poles keep you fit, bring the whole body in motion and strengthen you – Nordic Walking is an integral part of a well-balanced holiday for seniors. 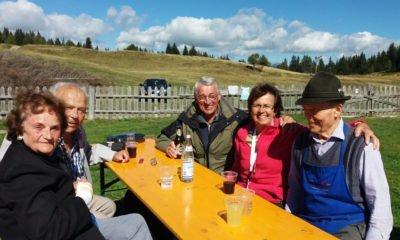 In our region Gitschberg Val Giovo, Nordic Walking friends will feel at home from day one. We have a network with many routes of various difficulty levels and many natural attractions. Another highlight: Some of the trails start right next to our hotel. 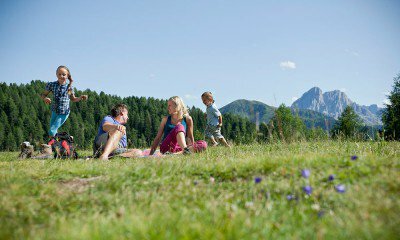 In Rodengo, there are five different Nordic Walking trails – total length 22 km – offering an ideal choice for all demands: from relaxing walks to challenging tours. 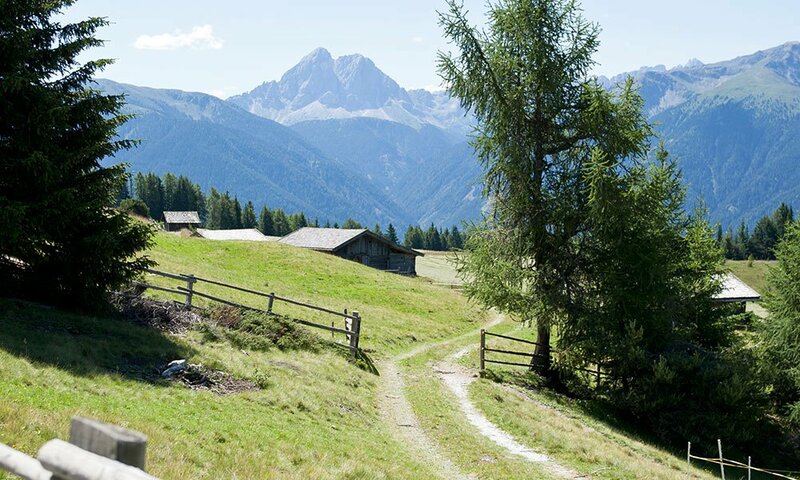 Among the most popular destinations count the Alpe di Rodengo with its panoramic views and the mysterious, very idyllic Fane Alp, nestled in the Valles Valley. If you bring along some healthy ambition, you may even conquer the Cima Lasta (2,194 m) and discover vast parts of the mountains of the Dolomites. Overall, our holiday region offers more than 100 km of specialized Nordic Walking trails. Besides Rodengo, also around the villages of Maranza, Valles and Spinga you will find many itineraries. With your poles and great joy of discovery, you can hike through solitary mountain valleys, have lunch in alpine huts, and at the destination of your route, enjoy wonderful panoramic views. Our local tourist office will be happy to advise you. Furthermore, with the AlmencardPlus, the starting points of many tours are within easy and convenient reach by public transport – nothing could be easier.